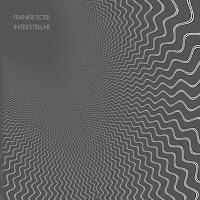 This is the second album from Miss Frankie Rose, former drummer to the stars (both Vivian and Dum Dum Girls, as well as Crystal Stilts), who struck out magnificently with The Outs in 2010. If you’re expecting more of the same this time around (surf guitars, reverb, shoegaze), then for the most part you’d be wrong. Minus band, Frankie has retained a certain dreamy, enigmatic quality but the musical arrangements are radically different, with synths predominant. 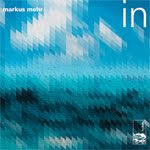 Just time for a quick mention of new music from friend to the show Markus Mehr, from Augsburg in Germany. A couple of years ago, he brought out a really beautiful album of ambient instrumentals, Lava, on the ever wonderful Hidden Shoal label, embroidered with his distinctive guitar drone designs. At the time, he spoke to me on the phone from Germany - that's an interview you can find over there on the right of the page (that's right, I'm not going to link it, don't be lazy, it's just over there...). The new material is a 2-track album called In, the first part of an ambitious-sounding triptych, with On and Off to follow later this year. Personally, I can't wait. Check out a couple of excerpts from In down here, it's therapeutic. I'm no jazz afficionado. I probably know as much about jazz as the average pop music fan. Which is why I'd previously only been aware of the pianist Matthew Bourne at arm's length, through references in regular mailings from the Leaf record label. Now, Leaf are releasing what is apparently his first ever solo studio album, and his first outing with the label. 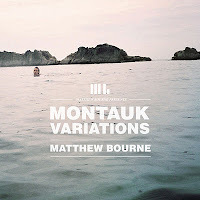 From what I read about Bourne, it sounds like he doesn't wear the jazz tag easily; he's been a serial collaborator over the last decade - piano trios, free jazz/noise groups and even a project seeking out broken pianos, Songs from a lost piano (which sounds intriguing and I must check it out this minute). We played some new music from Claire Boucher, aka Grimes, from Montreal on the show the other week. Genesis is her first release under the 4AD umbrella (and what an ample, pleasant, accommodating umbrella it is), ahead of a new album Visions later in the year. Her album on Lo Recordings, Halfaxa, made quite an impression around here last year (check the Best of 2011 Review here), and the new song is in a similar vein of murky electronica with jittery beats and ethereal, layered vocals - intriguing and fairly uncategorisable really. There's some video for the track from Yours Truly below. She plays a whole host of European dates in the summer, including at the Primavera Festival in Barcelona, Field Day in London and Forbidden Fruit in Dublin. Yourstru.ly presents: Grimes "Genesis" from Yours Truly on Vimeo. or directly on soundcloud here. It's like a jumpy 60's garage Nugget dug out of the archives, with a fantastic fuzz bass and unexpectedly (but brilliantly) smooth pop vocal. Below is another album track, the equally great Highway steam, which had me from the second the triumphant ascending trumpet line kicked in. Check the rest of the album on soundcloud here, it's well worth your time. 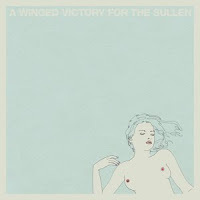 A Winged Victory for the Sullen played in Cork during the week - part of their still-proceeding European tour - a gig I'd been looking forward to with great anticipation for quite a while. If you've never heard the name before, there's some notes on the album on this link. The gig turned out to be a memorable experience, one that will stay with me for some time, a bright, shining highlight of the last 12 months of music (which have been pretty memorable all round). Here's a review I wrote for Cork-based webzine Noise, which is reprinted in full from this link, with kind permission. Meet Waterford-based but Cork-born John Haggis, and an album made with friends (including one Katie Kim and Richard from House of Cosy Cushions) at his Granny It’s OK to Experiment studio in the south-east of Ireland during a period of recovery following an operation. No maps no compass is a great wall of sound to start, with beautiful shoegazey vocals offset by a heavily filtered trumpet, and drumbeats tripping over themselves. So long Bitter Root Hill features a circling Spanish guitar figure, followed by a fantastic deep-sea rumble of a bass underneath a lost, echoing voice. The great silence of snow transforms a simple plucked banjo and spoken word recitation into a looping vocal refrain with cinematic backwash of uplifting and epic proportions. Another haunting male falsetto adorns the brooding closer Happy endings (tending to put one in mind of Luke Temple from Here We Go Magic a little). The Brewis brothers pick up from where they left off with 2010’s mini-epic double album (Measure), with this first single and tantalising taster from the upcoming Plumb. This tune takes a thread from its predecessor in the form of a twitchy, insinuating guitar riff and shuffling drumbeat, but distinguishes itself with some lovely prog stylings and the sound of gurgling water. Field music, as the man said. *You'll have to take my word on the above as a listening link is not yet available, but here's the equally infectious (I keep thinking about) A new thing to tide you through. Donegal-based Keith Mannion brings us a set of diverse but finely balanced electronic (semi-) instrumentals. Opener Carte blanche somehow manages to combine a propulsive rhythm with a sunny, chill-out atmosphere, helped by children’s playground recordings. 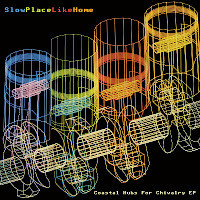 The title track takes a smoky, trumpet-lead jazz tune and cuts it into glitchy, hip hop pieces. We learned to tilt at windmills has something of Air about it, all synth power chords and wide open spaces. My own favourite is the post-kosmische hum and swell of The long and winding tide, culminating in a beautiful, heartfelt melody. Encouraging stuff from the Atlantic North-West corridor. You might remember an artist called Emphemetry, consisting of Richard Birkin from Derby. He was responsible for a beautiful album in 2011 called A lullaby hum for tired streets, a kind of love poem to his home city - it featured in our Best of 2011 round-up. More detail on the album here. He's announced new music now, one part of which is a soundtrack to a short film called Twinklebox , about the inner life/workings of a music box, made by Aaron Bradbury. There are two tracks involved in the digital release, the title track, a charming music box melody with piano support. 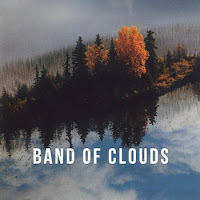 The second, Old dreams, foregrounds the piano, with a lovely, close-miked, intimate atmosphere (in a style you might have come to associate with Nils Frahm), which adds an air of mystery to the busy melody. Listen here. And the film is available here, part one in a series of Music Box Chronicles. Twinklebox from Aaron Bradbury on Vimeo. Happy New Year. Just a quick hello to land you with a list of 46* (edit - make it 48) albums that did the rounds many times in here in the past year. Another great year for pop music, I think you'll agree. A couple of other miscellaneous highlights underneath. I'm not bothering with lots of links and pictures and videos in this post - that's what the rest of the blog is for, go digging and you'll find. Most, if not all, of the list have been represented in these pages over the last year. And I might also mention that interviews with Crystal Stilts, Efterklang, (The) Caseworker, Hotels, Josh T. Pearson and Neville Skelly from the year gone by are also over there on the right hand side of the page. I may well have left a few people out, and there were a few borderline cases - if anyone has any particular beef with me on what's below, give me a shout. I'm all on for, like, engagement. Say no more.